PLEASE SEE: IMPORTANT NOTICE UNDER THE NEWSLETTERS AND NOTICES TAB! 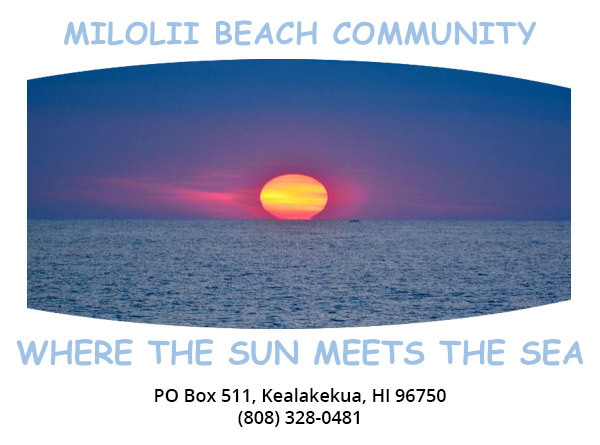 The Board encourages all owners of property located in Miloli'i Beach Lots Subdivision to register here on the website to gain access to additional owner information. To view a slide presentation of our community, click the link below. Copyright & copy; 2016, Miloli'i Beach Club Association II. All rights reserved.